McLaren Automotive’s new McLaren 720S GT3 is now out running and set to embark on an ambitious testing programme during the second half of this year in the USA, Europe and the Middle East ahead of its race debut in 2019. The car, which has been tested so far by McLaren’s stable of factory drivers will undergo 30,000km of testing on a variety of circuits, with various 24 and 36-hour tests planned with multiple test cars. DSC understands that the list of circuits McLaren plans to visit includes Sebring, Road Atlanta, Bahrain and Paul Ricard and that factory drivers Joe Osborne and Rob Bell have already driven the car since the first example turned a wheel earlier this month. 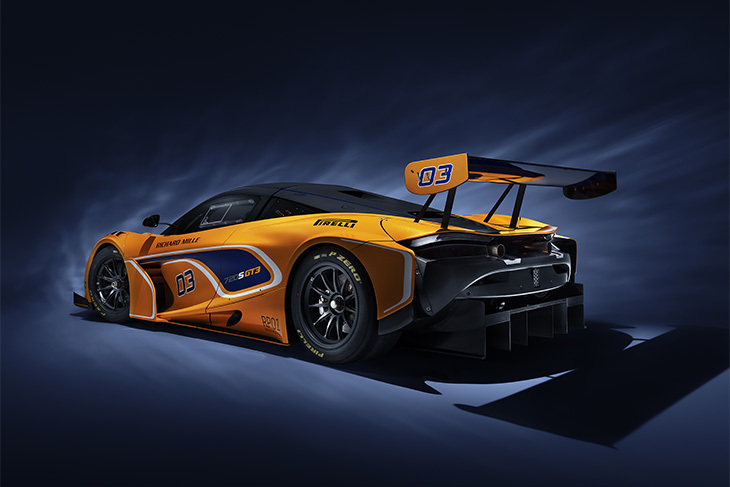 “It was an incredibly exciting moment for us to see out new 720S GT3 begin the intensive track-based phase of a development programme that we are confident will provide out customers with a first-class GT car,” said Mike Flewitt, McLaren Automotive Ltd CEO. 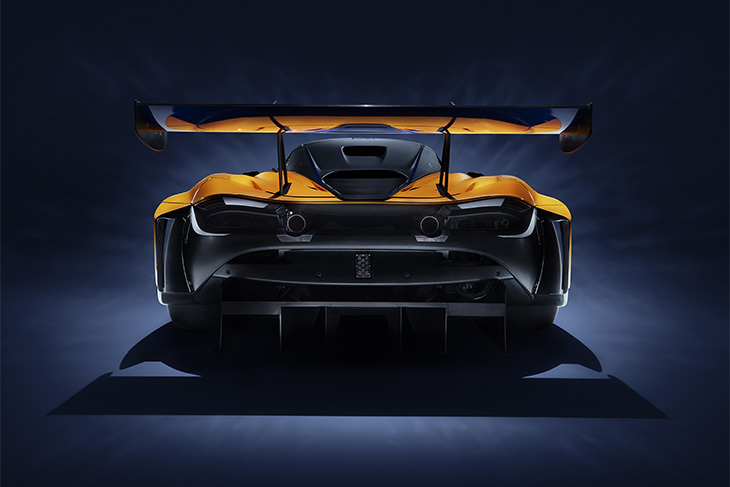 Based on the 720S road car, the GT3 features a carbon fibre MonoCage II chassis structure, housing a race-prepared M840T 4.0-litre twin-turbo V8 engine. The development work, and design work on the car has been completed at McLaren Automotive’s new dedicated GT race facility in Woking, where all the GT3 cars will be assembled by hand. “The McLaren 720S is such a multi-talented road car that we always knew honing its pure racing talents and making a GT3 car out of it would be an entirely natural proces – and so it has been. 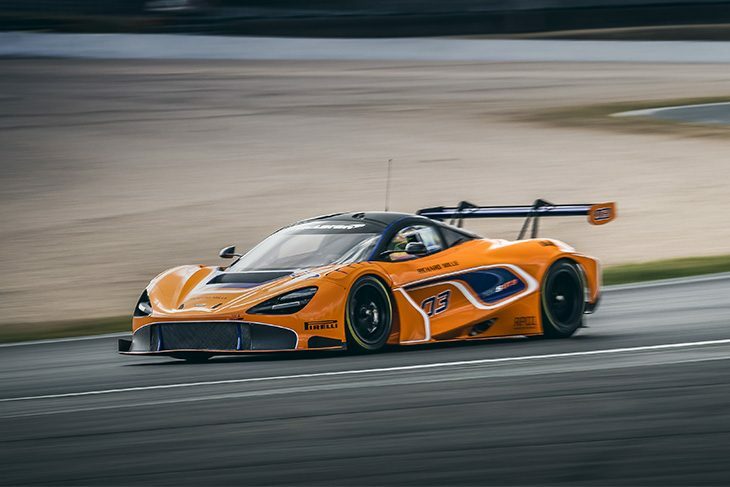 While largely a bespoke machine, the GT3 car is still a McLaren 720S at its core. “Developing a race car is about optimising every component and the lightweight MonoCage II carbon fibre chassis is the perfect base for this,” said Dan Walmsley, McLaren Automotive’s Motorsport Director. 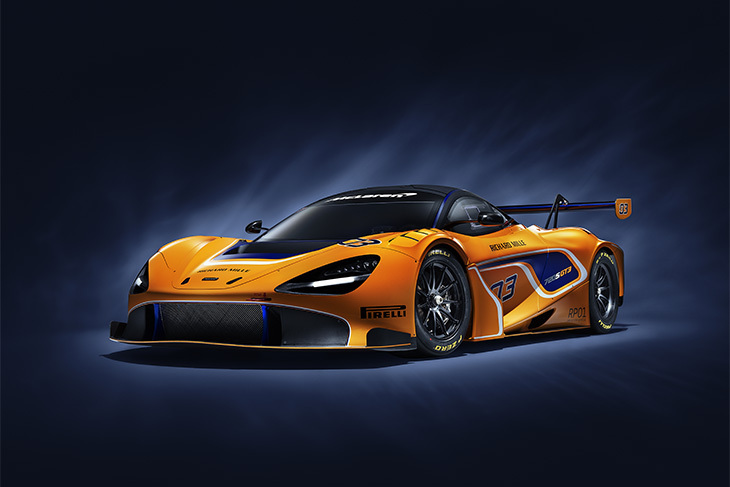 “The 720S GT3 is a significant car for McLaren Automotive. It still has the road car’s ability to devlier extreme performance in a way that all drivers can access, but taken to an altogether higher, racetrack level. “Crucially it also forms part of our growing customer-focused racing and business strategy which sees dedicated motorsport products developed in-house that draw on our rich pool of motorsport experience and expertise,” added Jolyon Nash, Executive Director of Global Sales and Marketing for McLaren Automotive. The 720S GT3’s price tag has also been confirmed along with the details about the car’s testing programme, customers will pay £440,000 ex-works. McLaren is looking to place cars strategically in various significant global GT3 championships with customer teams next season.